Born and raised in Carle Place, Nancy Ann Jarvis has witnessed the tremendous change and growth that’s transformed the area into one of Nassau County’s most sought-after communities. Nancy’s 40 years of experience as a full time agent has proven her to be a specialist in real estate negotiation and personal service with outstanding results for all of her customers and clients. Excelling in all areas of real estate, Nancy Ann expertly handles everything from vacant land and single family homes, multiple family homes, to subdivisions and rentals. 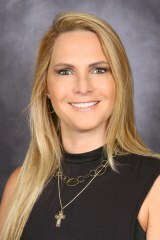 As an added specialization she is also an Independent Real estate Appraiser, which allows her to offer the most to her clients through her vast knowledge of land and home values throughout Long Island. Recognized for her leadership and strong local presence, she became the Sales Manager of the Carle Place Office in 2008, where she now works to guide and support many other agents. For the past 5 years, Nancy has been named on the exclusive REAL Trends list for Top Agents in both categories of Units and Volume, throughout the tri-state area and was honored a few years ago to be inducted as a Charter Member of the Gold Circle of Excellence.